Our recent sale of 72-139 Pakui Street at Hualalai is featured on luxuryrealestate.com. You can check out the article here or find out more about this property by clicking here. 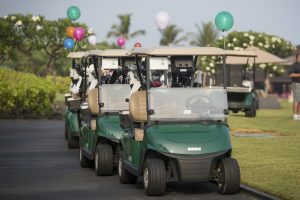 The Hualālai ‘Ohana Foundation sponsored its 14th Annual Golf Tournament fundraising event on Friday, July 27 on the Hualālai Club’s Members’ only Ke‘olu Golf Course. 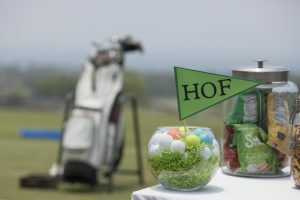 Dubbed the “Wacky Golf Day on the Green”, this year the format was enhanced with fun-filled theme holes and on-the-course games, encouraging both novice and serious golfers’ participation, according to the Foundation’s Executive Director Cara Price. Typically the foundation’s only fundraising event of the year, play is reserved exclusively for Hualālai Resort property owners and their guests. 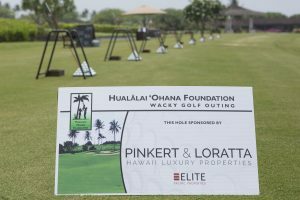 For the first time this year, resort vendors were invited to take part and we are proud to have joined other members of the extended Hualālai ohana (family) to sponsor the 18th hole – our favorite! In its inaugural year, all 18 holes were sponsored, raising $90,000, according to Cara. That amount, she says, will be added to proceeds raised through player registration fees and other cash donations made throughout the day. We extend big kudos to Cara and her team for the exceptional work they do on this event and all year round. We are extremely pleased to give back to a community that has given so much to us personally and to Hawaii Island and its people in general. We look forward to being a part of this benefit event for many years to come. Established by a group of homeowners in 2002, The Hualālai ‘Ohana Foundation strives to support the educational goals and exceptional medical needs of its employees’ families. For more information on the Foundation click here. 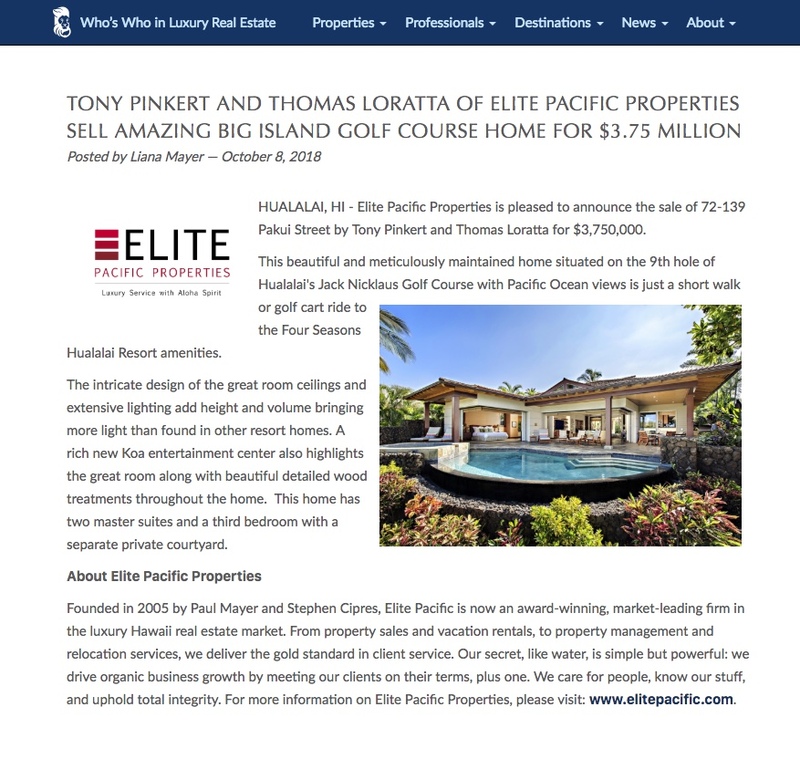 HAWAII ISLAND — ElitePacific.com— Elite Pacific Properties, Hawaii’s highest volume luxury brokerage and vacation rental firm with offices on Oahu, Maui, Kauai and Hawaii Island, announced today that Thomas Loratta and Tony L. Pinkert, two of Hawaii’s most respected luxury residential sales professionals, have joined Elite Pacific Properties. 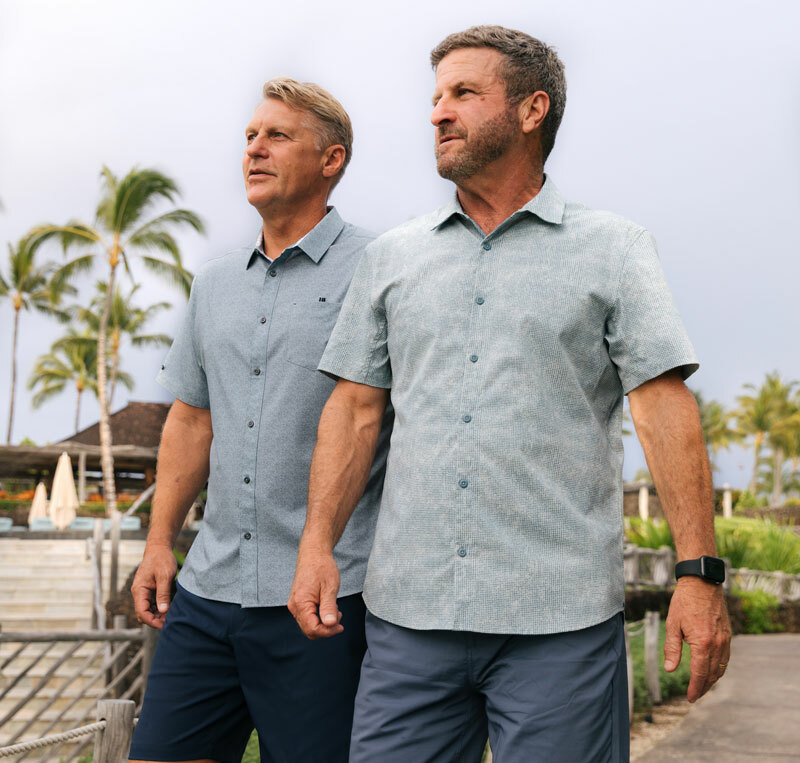 Prior to joining Elite this month, both Tom and Tony were top producing agents at Hualalai Realty, representing clients with high-end transactions at one of the world’s most distinguished addresses. 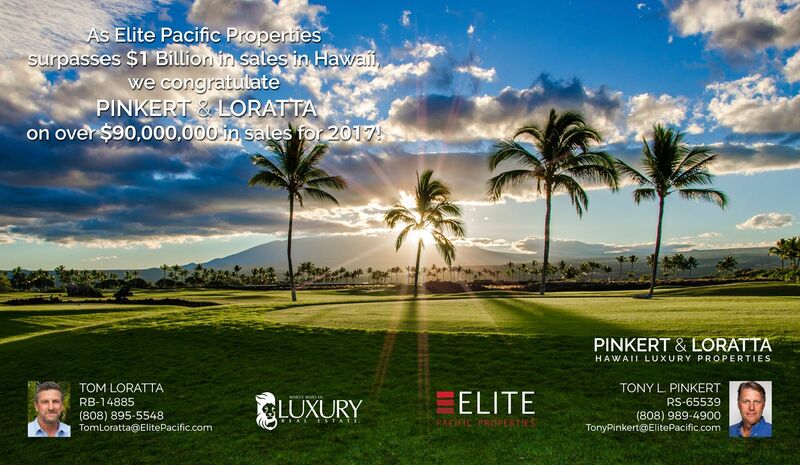 They have formed Pinkert & Loratta as a team brand within Elite Pacific Properties, and will continue to specialize in real estate sales at Hualalai Resort, as well as at the most exclusive luxury resorts on the island’s west side. says Margaret Reynolds, VP of Brokerage for Elite and past President of the West Hawaii Association of Realtors. Tom served as Lead Sales Executive with Hualalai Realty for 17 years. While he has always ranked in the top tier for Hawaii real estate sales, for the past 6 years Tom has been one of the top 15 brokers in the state. This year he ranked number 3 among 10,000+ real estate agents in Hawaii. Tony’s 10 years as a Sales Executive at Hualalai also was extremely successful. So far in 2016, they have combined sales of more than $100 million in resort real estate. Together, they rank #1 in Hualalai Resort sales over the past 5 years.